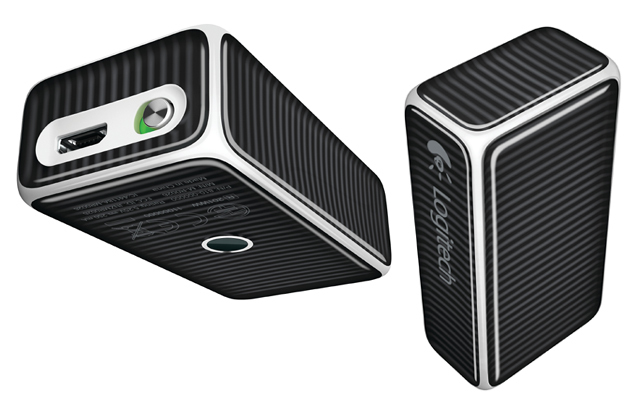 Logitech has designed the first portable wireless mouse, and they called it, most appropriately, the “Cube“. Working as both a wireless mouse and a presentation sidekick, the Logitech Cube is looking to be the talk of the table and the wonder of the office. Simply put, this is the smallest multifunctional wireless mouse on the market. Logitech, which produces anything from laptop accessories to headphones to tablet stands to gamer equipment, is especially popular in the gaming/workhorse wireless mouse community. You are witnessing an evolution of a highly advanced company. The Cube connects to your device through it’s minuscule “Unifying” receiver (clocking in at .07 ounces). And don’t worry if you already have one or multiple Logitech wireless devices, the receiver can connect to 6 different Logitech devices. The Cube specifically can connect at 82 feet (25 meters) from it’s device… should you be working with a very large screen and some binoculars. Whether you belong to the business elite, are a traveling designer, or just take your work with you wherever you go, this is what you’ve been waiting for. You are on a plane: Connect and use the mouse on the tiny table in front of you with ease. The on/off switch will save on battery life… which is completely unnecessary considering you will have 7 days worth. So, after traveling for 7 days, you plug in the mouse to the USB, for 100 or so minutes: full battery. Just in time for a presentation you are giving, in which you simply lift the mouse out of your shirt pocket and use it as a pointer to open, navigate and advance slides. Logitech boasts that the scroller (the entire top of the mouse) “smooth as smartphone” scrolling. And in all testing, it lives up to that claim. Along with the top scrolling, the buttons of the top are invisible: on the top is the left click, and the middle the right. Traveling laptop enthusiasts who take their work with them. Minimalists who use their mouse for simple navigation, point and click presentations, or in tight spaces. Gamers who depend on their mouse for grip and survival. Anyone working with a fast-paced, multipurpose mouse program (like Adobe Illustrator or Photoshop). All in all a force to be reckoned with in the travel/wireless realm of technological mousedom. The wireless Logitech Cube is sleek, portable, has a long lasting battery life, and can be used for a variety of simple tasks. Anyone who travels and works with a laptop should get one. Offices and classrooms should stock up. Gamers and designers… depending on what you play or create, I might stay away. Priced on the manufacturers website at $69.99 with a three-year limited warranty… this is the future of the wireless mouse.